In this post I’d like to share an experience I had working with A., a university student, who is currently in the first year of an undergraduate degree. A. has cerebral palsy and uses an electric wheelchair. He has impaired fine motor abilities and his speech is not always clear. While in school, he had an aide who provided assistance in class and matriculation exams were completed orally. Now that A. has started academic studies at university, he decided that he wants to be more independent and less dependent on people and adaptations in his environment. The process to improve his independence in his studies was divided into two parts – using a laptop and using a smartphone. Until now, A. avoided using a computer because of inefficiencies in using the mouse and slow typing speeds. As such, the first thing I recommended to him was a touch screen to reduce the need for a mouse. As well, I recommended using the computer in tablet mode and placing it on a mount attached to the wheelchair, keeping it in close reach. 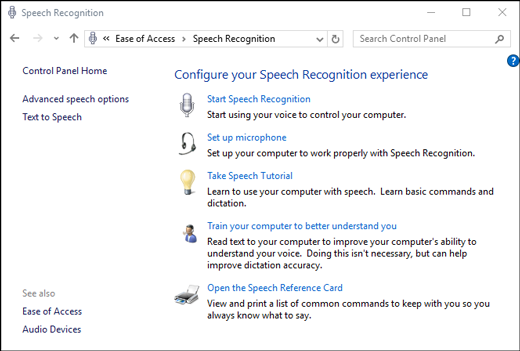 began to use speech recognition to control his PC with his voice instead of typing or using the mouse. Instructions for use can be found here. In situations where typing is necessary, A. began to use word prediction software, called Lightkey, a program available in many languages. This free software is downloaded to the computer and provides word prediction in any program requiring typing. The suggested word is presented in grey, as a continuation of the word being typed the word that is being typed, and a press on the Tab key chooses the word. Use the Control key and the arrows to navigate and choose other words. The prediction program becomes smarter with time, the more the user types, predicting frequently used and context-appropriate words. In addition, the user becomes more skilled, watching the screen and choosing the desired words while typing. Recently, A. acquired a new Android smartphone. The phone is typically on his lap or on the table beside him. A. uses WhatsApp to communicate with others, using the recorded message feature. However, in order to increase his independence with his phone, he still needed a way to type messages or commands into the smartphone. To achieve this, we chose a few adaptations. Swiftkey for typing and dictation – Swiftkey was the best fit for two reasons. One, it contains word prediction that adapts to the user, and the keys can be enlarged. Two, the keyboard contains a microphone icon allowing the user to dictate (using the Google mechanism). Despite unclear speech, the keyboard succeeded in recognizing most of the words uttered, and even corrected mistakes made during dictation, once the dictation was finished. Voice commands – Using voice commands of OK Google, allowed A. to use phone features and search the internet. For further instructions, look here. We’d love to hear about other keyboards with word prediction and/or dictation that you are using and finding helpful!